Select Orlando Child Support Lawyers with Full Knowledge of Florida Support Statutes. How much should you pay? Are you getting enough child support? Can you change the amount? 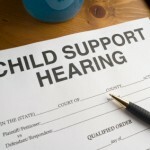 Child support is part of the parenting plan for divorcing couples with children. The court has strong policies about support of children. The focal point is that child support is the right of the child, and must be in the best interest of the child. It is also the duty of every parent to financially support their children. These guidelines contain a schedule, based on a mathematical formula, which states the base amount of child support to be paid by the non-residential parent. For divorcing families throughout Orlando, our child support lawyers apply the statewide formula to estimate the child support amounts for each unique situation, and pay close attention to the many variables that shape the outcome. Calculations are based on the amount of money that both parents earn in a month and the number of children that the parents have had together. The higher the parents’ income, the higher the amount of child support awarded. 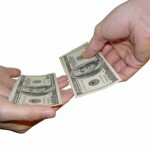 Time-sharing plays a major role in calculating child support. If either parent has more than 20% of the overnight time with the child (73 overnight stays), the calculation of child support is adjusted (lowered) to account for time with that parent. As time-sharing of the child with the paying parent increases from 20% to 50%, support will generally decrease for the paying parent. Still, even with 50/50 time-sharing, there may be a child support obligation because the incomes are rarely equal. The cost of daycare for the child is added to the amount. Costs are included only if daycare is needed due to employment, job search, or education intended to result in employment or enhance employment. Health insurance costs are added to the need, as well as non-covered medical, dental and prescription medication costs for the child. The court may adjust the total minimum child support, or either or both parents’ share of the total minimum child support based upon other deviation factors, such as high medical expenses, special needs of the child, age of the child, or seasonal variations in a parent’s earnings or expenses. Truthful reporting of income is critical in producing fair child support amounts. If one spouse is hiding income, we can fight against this. We will work to uncover the amounts of hidden income or cash income, and can uncover lying on financial disclosures. Our Orlando child support lawyers work closely with private investigators and use other investigative tools to find money and prove the fraud, to ensure that your child is properly cared for financially. As your children’s needs change, or a parent’s ability to pay changes, child support payments can be modified. We can assist you by determining whether there are elements present that can change the child support payment amount, as well as preparing and filing motions for Florida child support modification. Questions? Call an Orlando child support lawyer at the Kramer Law Firm. We are ready to listen and advise.